This entry was posted on January 17, 2018 by wallst_greet. 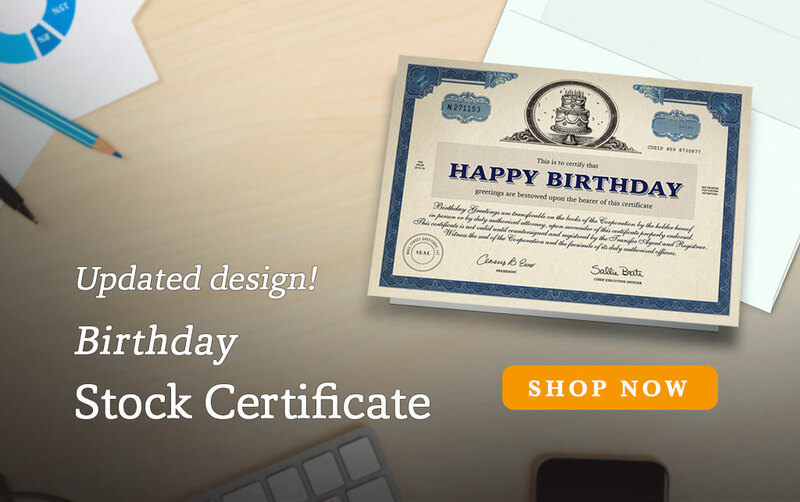 Our graphic artists recently redesigned one of our most popular cards, the Birthday Stock Certificate card, formerly Birthday Express. Wall Street Greetings had the previous design for over a decade and it was always a best seller, but the new design is even more popular. Even we have been surprised by the overwhelming success in the few months it has been available. If you liked Birthday Express, be sure to look at the updated Birthday Stock Certificate card. It may be just the birthday card you're looking for this year. Order now for 30% off and free shipping!